« Get glam for Fall with Shiseido! Receive complimentary makeup applications and tips from celebrity makeup artist Nam Vo. 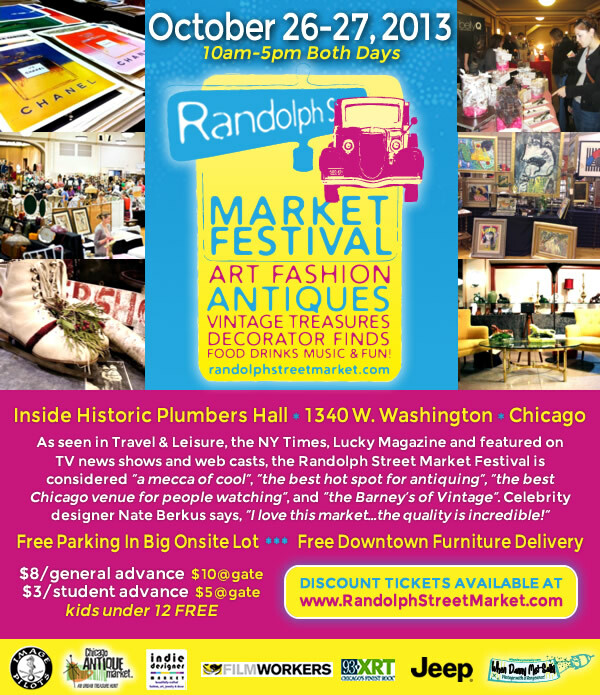 WHAT: The Randolph Street Market Festival is home to the world-renowned Chicago Antique Market, Indie Designer Market, Modern Vintage Chicago and the Holiday Market. As seen in Travel & Leisure, the NY Times, Lucky Magazine and featured on TV news shows and web casts, the Randolph Street Market Festival is considered “a mecca of cool”, “the best hot spot for antiquing”, “the best Chicago venue for people watching”, and “the Barney’s of Vintage”. Celebrity designer Nate Berkus says, “I love this market…the quality is incredible!” As one of Chicago’s most happening monthly parties, Randolph Street Market has become the summer destination! For more information about tickets and the event, please click here!